MK Omer Bar Lev floats plan that would postpone implementation of law on hareidi enlistment by a year. MK Omer Bar Lev (Labor) is crafting a plan that might end the controversy between Jewish Home and Yesh Atid over how to punish hareidi men who do not enlist to the military. While Yesh Atid demands that the sanctions be criminal in nature, Bayit Yehudi insists that they be financial. Bar Lev's idea is to postpone implementation of the new law regulating this matter by a year – from the currently planned 2017 to 2018. In addition, MK Bar Lev suggests that a six month grace period will follow the start of the implementation of the new law, during which criminal sanctions will not yet begin to be enforced. 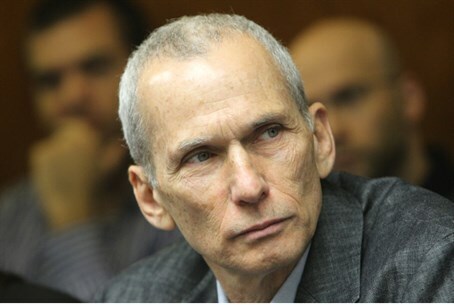 Bar Lev claims that members of the Shaked Committee – the Knesset committee assigned to craft the new regulations on hareidi enlistment – have reacted positively to his idea, and that hareidi MKs have also expressed support for it, albeit anonymously. Observers have noted that pushing back implementation of the law to 2017 may void its effect, since the government that will be in place by then may include hareidim, and could therefore cancel the law before it goes into effect. A delay of another year or 18 months makes this scenario even more likely.